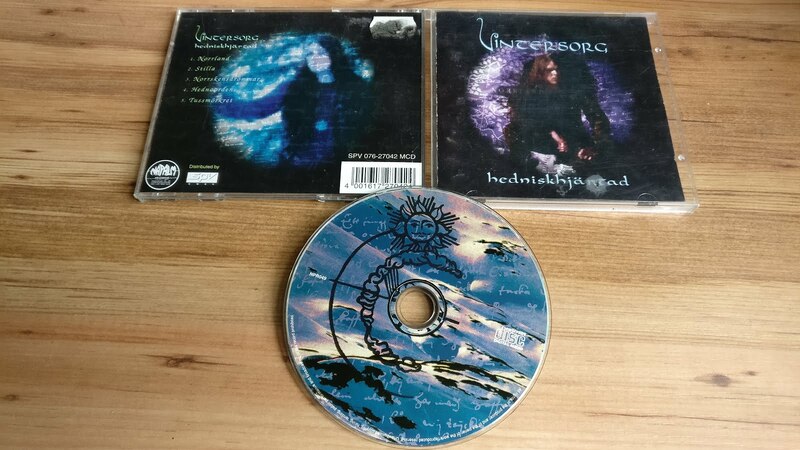 The first release for Vintersorg (a.k.a Andreas Hedlund) Hedniskhjärtad (or Heathen-hearted, in English), was one of the very earliest releases on Napalm Records. I'm a huge fan of Vintersorg's mix of clean and harsh vocals, and have followed his career throughout not only his own band, but also Borknagar, Otyg and many others. This is a nice piece to have to hear some of his earliest material and to see how he's progressed as an artist (and a vocalist) over the years. Great, epic melodies, fizzing guitars and heartfelt music. Good stuff.